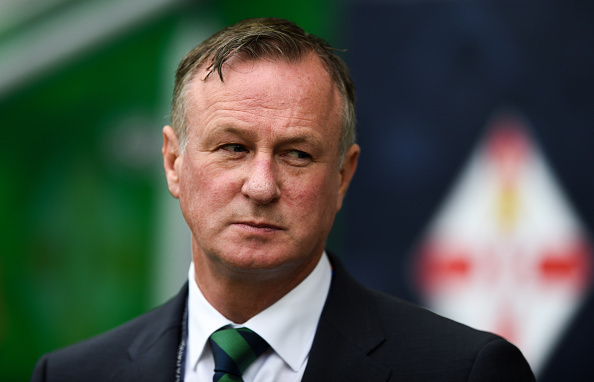 Euro 2020 qualifying Group C: Northern Ireland v Estonia (Windsor Park, 7.45pm). Northern Ireland may have 16 from ’16 but it’s harder to see them achieving their Euro 2020 vision at least not this year. The schedule has been kind to the men in green but then it really had to be after the boot in the nethers of being drawn against both the Netherlands and, yet again, Germany. Estonia’s most recognisable player is their captain, former Liverpool centre half Ragnar Klavan, now with Cagliari, he’s their only representative in one of the big European leagues. Their best-known name may be Poom, but that’s 20-year-old midfielder Markus Poom, son of former long-serving goalkeeper Mart. Northern Ireland must beat the current Estonian goalkeeper at least once tonight or else they can forget setting any direct sights on Euro 2020.